Rangers of Oblivion is the kind of mobile MMORPG that you want to play today. Not only does it feature a ton of amazing mechanics that are accompanied by equally intriguing character customization, but it also boasts pretty good combat. Let’s just put it this way- by the time you start playing the game, you will find the best ways to release all of your inner, pent-up aggression. If you want to fight like there is no tomorrow, then Rangers of Oblivion is the action game to play. In addition to all of the incredible game features, you will also get to enjoy the best of mobile hunting. Brought to you by the Capcom Hunting Series, it is evident that you be facing the most gargantuan monsters, courtesy of this game. 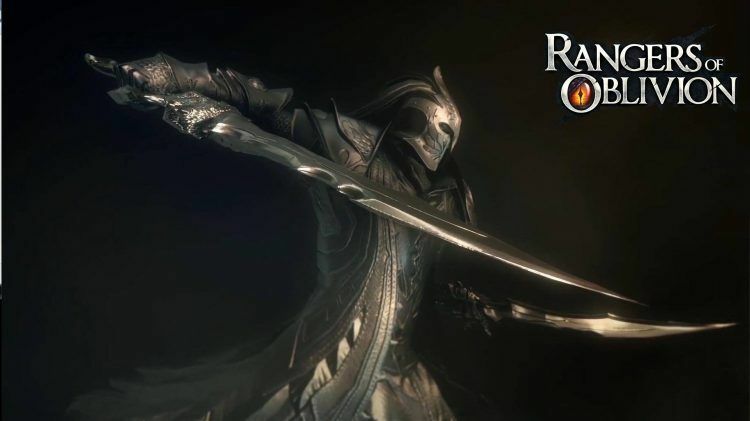 Rangers of Oblivion sets you into a corrupted world that is full of monsters. You will need to join force’s with other players so you can hunt all of the monsters down. There is a variety of resources that will allow you to take down the toughest hunts. If you feel like you can come up with better tools, the game allows you to put your creativity to good use and craft all of the tools that you want. This game is as diverse as it gets. It takes you through different stints like going on a treasure hunt and finding yourself in the deadly wilderness. This unique world is full of all type of monsters. They have different attack patterns as well as different attributes. To add a little spiciness to your gameplay, you can dress up your character in different attires and make him look like the ultimate warrior. You will definitely start off the game looking all ‘ridiculous’ and it is up to you to optimize your character as well as your game style. There are numerous weapons that will always give you an ace against your opponent. They will enable you to poke them in the ribs, eyes or anywhere else within their body. You can also take down the monsters with magic tricks. Rangers of Oblivion is so diverse that it even lets you hunt and gather your resources and even tame wild horses in its beautifully crafted world. It is safe to say that you will be spoilt for choice on what to do. Yes, the game is this good! A game such as this one, that combines monster hunting and RPG is specifically unheard of. Rangers of Oblivion has mashed together tropes and has created an exquisite experience. The game has set itself apart with its incomparable gear collection and the kind of variety that it offers. The dearth of ways to play is what makes it an experience that you cannot miss. Although mobile MMORPGs are always more casual than their PC counterparts, this game has proven that you do not even need to play the mobile version. Jump straight to your PC and have an unforgettable experience. Go to the search box in Bluestacks and type “Rangers of Oblivion” without the quotes, of course. That is it! You can now enjoy your freshly installed copy of “Rangers of Oblivion” on your favorite PC!